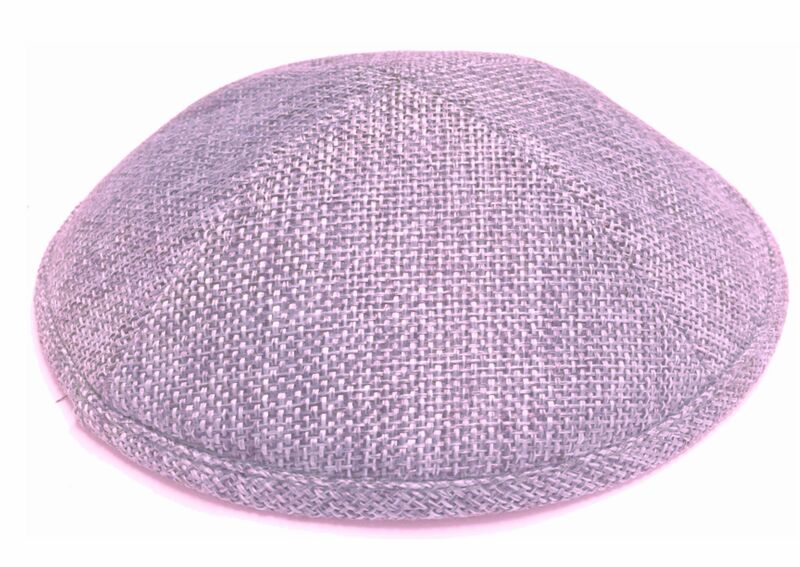 Our Burlap kippot are made of high quality Burlap fabric, and lined with a comfortable cotton twill. Due to popular demand, this kippah is available in 2 sizes small 6.75 inches and large 8 inches, four panel kippah, for a better fit. Additionally, we have created a special feature to discreetly hold the yarmulkes in place. On the inside lining there is a button hole, for the yarmulke clip to be inserted. Kippah Clips are sold separately.